Currently, I attend a small country church of about 100 people. And I do mean country – many of the members are farmers, and I’d bet that more of them own shotguns than computers. But a strange thing is happening – as the fields yield to housing developments, more middle class suburbanites are coming to church, and the question has arisen – what kind of church do we want to be in order to serve both our existing and new populations? This is not an easy question to answer. But while we are thinking about it, a number of things have come up that we do NOT want to do. Church membership rolls are an interesting thing to study, and our view of them will color how we view people and ministry. But needless to say, our membership commitment means nothing if we are not a vital, active part of a body of believers. While you can become a Christian without belonging to a local or intimate body of believers, you can’t become a mature Christian without vital church involvement. Here are some principles regarding church membership that we should consider. The starting place for this discussion is to ask, “what is biblical church membership?” For a great overview, see this 9 Marks presentation. Attendance numbers can be deceiving, and we all know the truth of “quantity is no substitute for quality.” If we emphasize numbers only, we will probably focus on activities that produce numbers, but not quality disciples. We have a much greater impact if we invest in the lives of a few who will turn and do the same, rather than investing little in a large group who will not progress to maturity, and who will not in turn disciple others. 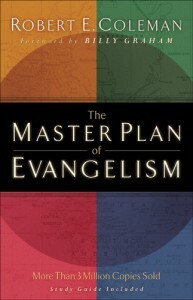 This point is made well in the classic book The Master Plan of Evangelism. Every Christian should read this book. We need to think about this: how do you measure whether or not your discipleship, evangelism, and service are effective? If you want a leadership team focused on quality, you have to measure them by quality, not by quantity alone. Otherwise, you’ll have the problem described above. However, some numeric goals are appropriate, and we ought to quantify and measure our performance if we want to improve. But rather than measuring by permanent membership or by so-called conversions (how many people come forward at altar calls and the like), there are a host of other metrics we can use to inspire, motivate, and measure our performance. They can include attendance at special events, the completion of creative or service projects, money and time donated by our members, and the testimonies of those impacted by our ministries, both within and outside the church. Interestingly, official church membership in a church doesn’t really add much to the believer’s life in terms of privileges. I mean, you might get to vote in church decisions, but overall, membership is basically agreeing to a covenant – it makes it clear what the church stands for, and that you want to commit yourself to growing and contributing within that church. It does NOT, of course, save you. However, like all biblical commitments (e.g. marriage), it actually helps the member to be clear and focused about what they are doing, and leads to greater intimacy through a promise of common goals and fidelity. Also, for those who would like to be leaders, we ought to have some clear commitment to values and principles. However, we should not heavy handed about membership, but rather, we should offer it as a value added service, a method for helping the member live out their commitment to the church universal by contributing in our local assembly. It is not something to be required or demanded. Anything more than this is probably not biblical. One of the signs of a manipulative, controlling church is one that threatens or guilts people into staying. This is common in churches for two main reasons – (1) because spiritual matters often involve morality and personal responsibility, it is easy to confuse one’s duty to God with one’s duty to the church. Religious leaders can fall into this trap, esp. when they are insecure, or have a numbers-based view of success rather than a service-oriented view. However, the darker reason is that (2) most churches don’t add enough value to keep people anyway – they are often immature and selfish organizations that want your time and money but offer nothing in return except the feeling of doing a “good deed” (like paying the pastor’s salary). Having recovered from a manipulative cult-like spiritual organization myself, I understand a worse perspective that motivates organizations to pressure you to stay – they (1) believe and teach that salvation is not found outside of their organization (exclusivism), and they (2) feel that they are better than all others (elitism). This deadly combination often motivates men to preach that people leaving their organization don’t love God, and will lose their salvation. When you leave a church that you have been a member of, hopefully, people will miss you and want to send you off. It is biblical, as well, for your local body to acknowledge the work of God in your life when you are called elsewhere, and to send you off with prayer and a blessing. We should have a way to do that so that people feel affirmed and loved when they go off to a new venture. One of the important points that many churches miss is that people’s lives go through fairly predictable transitions, including leaving for college, graduating from college, getting married, getting a new job, retiring, etc. These transitions are never easy, and the church should not only anticipate people leaving during these times, they should serve them at these critical junctures. Leadership Journal’s blog has an excellent article on understanding the “half life” of members, and which ones are in a more stable or unstable life position, and how this should affect your ministry and attitudes towards membership, entitled Radioactive Church Attendance: predicting your congregation’s half-life. a. Bad Preaching: Your pulpit could have just poor teaching skills, or unbiblical preaching, or angry/condemning preaching, or legalistic tendencies, your church will not grow beyond those who are willing to be abused. God resists the proud, and gives grace to the humble. When I was in that cult-like church, it never grew beyond around 60 people. However, a huge change in leadership and spirit happened, and just a few years later, it was at 1000 members (it is currently even larger than that). Grace and truth make a church grow. c. No Outward Focus: In some congregations, the word “evangelism” is a dirty word, while in others, “service” is devalued as non-gospel related. Both of these positions are unbiblical. A healthy church will be involved in both to a lesser or greater extent. If a church is involved in neither, it lacks God’s call to serve, and to save the lost, as Jesus commanded in the Great Commission. If a church is in an area with a significant number of unreached people, and is not growing in numbers, you can be sure that it is failing to do the work of the gospel. Now, in countries where persecution is a problem, you may not see these vast numbers meeting together, and growth may take time. But regardless, an organism that is not growing is dying, and dead churches are not what we really want. It is popular today to attack successful “mega”-churches like Rick Warren’s Saddleback, Joel Osteen’s Lakewood, Bill Hybels’ Willow Creek, and Yoido Full Gospel church (one of the fathers of the church growth movement, with a current membership of over 800,000 members) simply because they are big. And while some of these churches are often rightfully criticized for risky, innovative programs, personality cultishness, and questionable doctrine (often, prosperity doctrine), being large in and of itself is more of a good thing than bad. While being large does have it’s cons, like the seduction of power and money for leadership, increased time and money spent on administration (and politics) of a larger organization, and the real problem of the impersonal nature of large gatherings, all of these can be mitigated through a good leadership structure, financial transparency, and a good small group system. And large churches have many benefits. 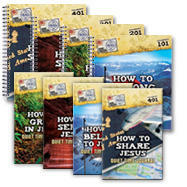 They have additional, pooled resources that can be used for outreaches with greater impact. These greater resources also allow for many needed niche ministries to be supported, such as financial counseling, Christian psychological counseling, various recovery groups, and arts outreaches, to name a few. Smaller churches often don’t have the resources to support anything outside of the basic ministries such as Sunday school, basic pastoral counseling, and some minimal financial help for the needy. In addition, large churches have usually overcome many of the immature and unhealthy spiritual conditions that limit small churches, so usually, they are more excellent in their discipleship and ministry. We must view church memership seriously, and with maturity so that we serve people rather than our organizations, because the true church is not just our local assembly, but the organism of believers worldwide who belong to Christ through biblical, authentic faith. Aaron, any feedback on this? I agree with a good bit of what you said – most in fact, so I will highlight my differences and some other points that came to mind. I do not agree that bigger is better by default. I think that bigger is simply bigger. It can do things that smaller churches can't do, but it also can't do things smaller churches can do. It does not face some of the problems smaller churches face, but it deals with many problems specific to larger churches. I also think many people leave a church for selfish reasons. They are not being "served" and so they find a church that will serve them, instead of looking for a church where they can themselves serve others. This creates the dynamic that happens at most smaller churches – a few people are doing virtually all the work, while the others ask why aren't we doing more. Also, too many churches recruit from other churches. This may happen only in very churched areas. But in my town churches go after disgruntled members to coax them away from their home church. This, to me, is unethical and unbiblical. Our time should be spent reaching the lost, not the saved. I am disgusted with a lot of the emphasis on numbers. The Southern Baptist denomination as a whole does not want to address the fact that we have 16 million members (or whatever it is) and only half (at best) are actively involved in local churches. I wish we would clean up our membership rolls. If someone sees no desire to attend services, worship as a corporate entity and serve in the ministries of the church, why are they included as a member? Those individuals should be asked to reaffirm their committment to the church. If they refuse or do not, then you follow the Biblical model for church discipline. Then remove their names from the roll and place them on a prospective member list or something, in order to keep up with them. But I agree with the thrust of your post and think this is an area Christians should have a healthy discussion on. Discipleship must remain at (come back to?) the forefront.